The Onida Washer Lilliput Semi-automatic Top-loading Washing Machine (6.5 Kg,Lava Red)is a powerful washing machine that is loaded with useful features which help you to save time and effort. The 6.5 kg capacity of this washing machine is effective in dealing with your daily laundry demands with ease. Plus, the compact and sleek design of this semi-automatic machine gets accommodated in a very small space. This appliance comes with a one year warranty. Plus, the powerful features of hydraulic pulsator and effective motor enhance its results and boosts washing performance. Distinctive look and effective transparent top Onida has paid special attention to the design and look of this washing machine. 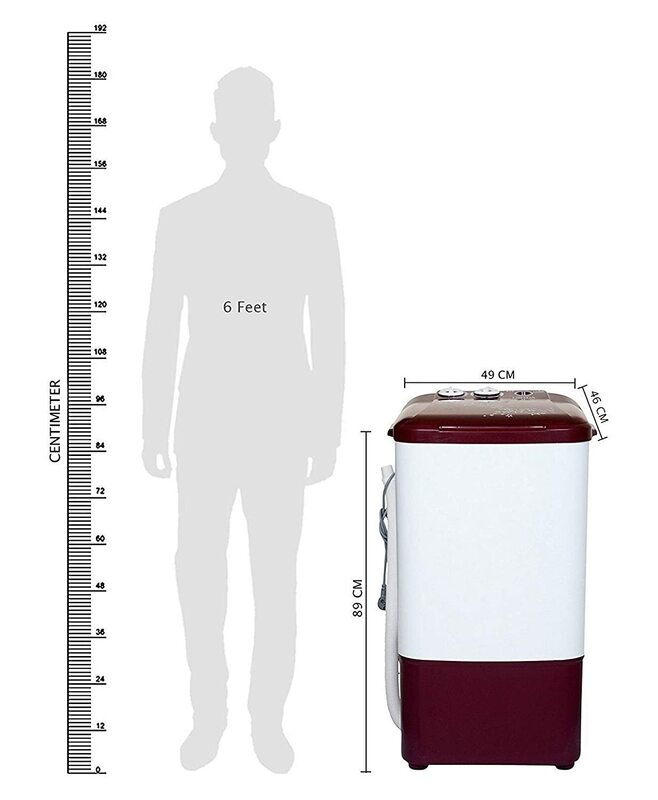 Plus, the transparent lid on the top enables you to see the washing procedure so that you can keep an eye on the clothes as they are being laundered. 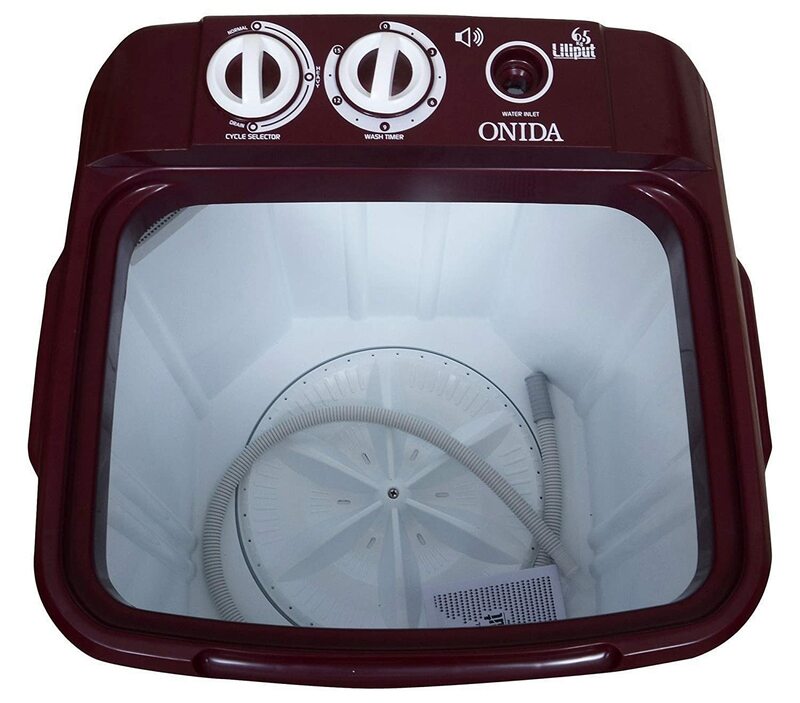 Easy to move design and anti-rust fibre body The body of the Onida Washer Lilliput Semi-automatic Top-loading Washing Machine has been designed in a way that makes the appliance last long. This washing machine is made up of top quality fibre which is sturdy and durable. It prevents corrosion and protects the body from rusting. Another feature of this washing machine is its compact and sleek body thanks to which the machine can be fitted in any part of your home without occupying much space. It has an effective design which makes it easy to shift thanks to a comfortable handle and knob. The hydraulic pulsator and powerful motor This home appliance has the unique feature of hydraulic pulsator which enables the detergent to penetrate deep in the cloth fabric, resulting in removal of all stains and dirt particles. This appliance functions on a motor that is very powerful. This 270 W motor is designed to provide better flow action for effective washing of clothes. 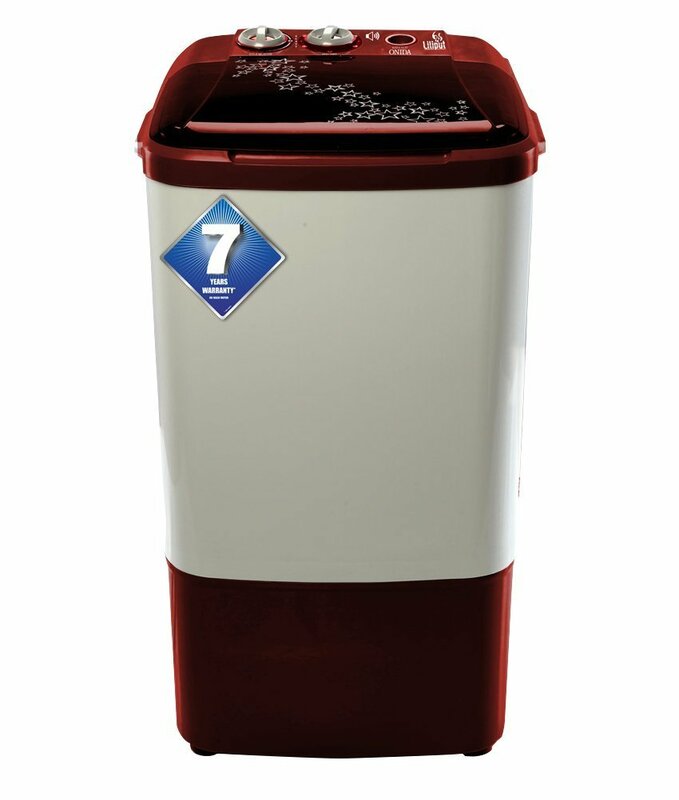 The buzzer facility for reminder and two wash programs The Onida Washer Lilliput Semi-automatic Top-loading Washing Machine (6.5 Kg, Red) comes with a buzzer facility. This buzzer informs you to take out the clothes after the washing procedure is completed. Then, there is the option of two wash programs. This option allows you to choose the ideal wash setting for different cloth fabric. Hence, with all these features this washing machine is an ideal solution for you to deal with heavy laundry loads every week. Carefully browse through the terms and conditions to check if the exchange offer is applicable for your city and location details. You can also check out our buying guide at Amazon India on washing machines for more clarity and information. If you have any queries regarding product availability, exchanges or any other issue, feel free to call our dedicated Toll-Free number: 1800-3000-9027 (Available from 8am to 11pm seven days a week). You can bag this product from Amazon Indiatoday.